The Isle of Man will contest all but one of the 14 sports at the 2019 Island Games in Gibraltar after heading the medal table two years ago. In 2017, the Manx team collected 101 medals, of which 39 were gold, when the Games were hosted on the Scandinavian island of Gotland. Team manager Gary Jakeman said the Isle of Man will send around 175 people to the British Overseas Territory in July. Beach volleyball will be the only sport not contested by the Isle of Man team. 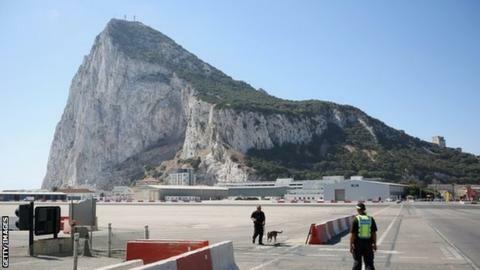 The organisers have dropped football, golf and gymnastics from this year's event because of a lack of facilities in Gibraltar, replacing them with squash, judo and tenpin bowling. Gymnastics was the Manx team's most successful sport two years ago, with 29 medals won. "Of course it is a shame that these three sports aren't included but it is an opportunity for different sports to have their time to shine," said Jakeman. "The Isle of Man team will be announced in April." Hosts of the biennial Island Games can choose to stage 12 to 14 sports from the 18 available. About 2,500 athletes from islands around the world will compete in Gibraltar from 6-12 July.